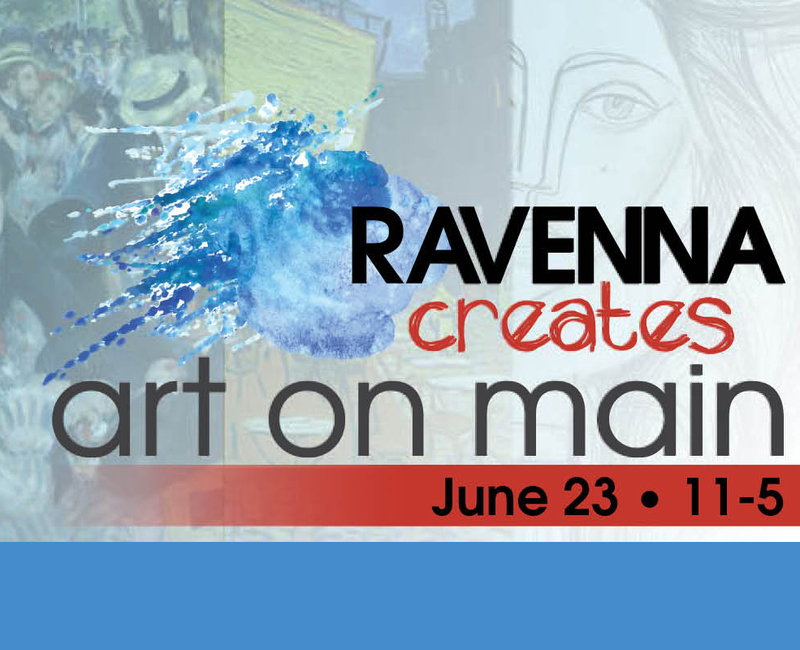 Join us in downtown Ravenna, Ohio for art, food, wine, and music! Art on Main will showcase professional artists as well as artwork from area school students. Purchase professional artwork and see the amazing talents fostered in Portage Country schools — all while enjoying wine, food, live music, and good company! The festival will take place along Main Street between Prospect and Meridian streets.